The Abu Dhabi residential real estate market saw a slight slowdown in the first half of 2016, mainly due to the decrease in oil prices since the beginning of 2015, according to the latest analysis report. Overall, residential rental rates decreased by 3% on average with high end property rents down by 4% while there was a slight decrease in prices with job security concerns subduing the markets. There is a limited supply of villas and apartments with less than 1,000 units handed over in the first half of 2016 and this has constrained any major reduction in rental rates, according to the midyear review from real estate firm Asteco. Concerns about job losses and reductions in housing allowances are set to keep the rental market subdued in the rest of the year, the report says. It also says that projected residential supply for the second half of 2016 is limited and predominantly concentrated at the high end owner-occupied market in locations such as Hidd Al Saadyat and Saraya on the Corniche. However, despite the sluggish sales market in the first half of the year there is still a perceived lack of good quality mid-market properties and any launches targeting this segment should be well received, the report adds. It also points out that overall rates in Abu Dhabi remained higher, on average, than in any other emirate in the UAE. In the apartment sector there was a slight increase in supply in areas such as Al Raha Beach and Reem Island as some owners put their units back on to the market but the report suggests that asking rates are still relatively high, with only a 2% average decline noted throughout the market. 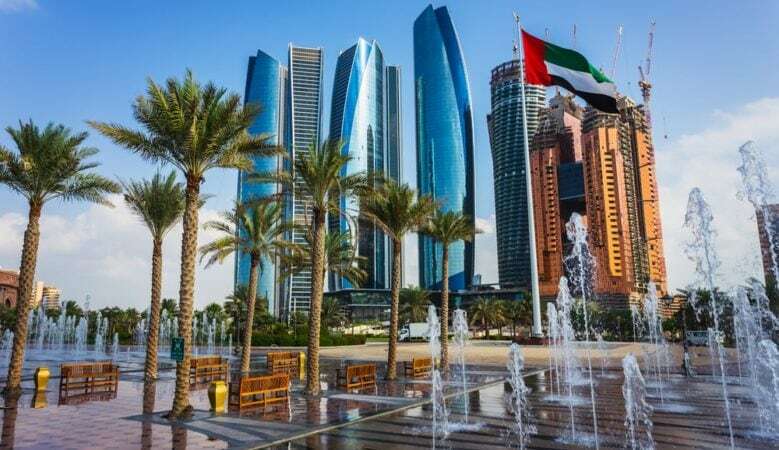 Overall, sales prices in Abu Dhabi are still considered high compared with the rest of the country, with even the more affordable options being out of reach to a large majority of residents. Similarly, the villa sales market was slow in the first half of 2016 with sales prices down on average by 2% over the period. The report says that this was due to a generally negative market sentiment as well as the perception that units in better developments are still overpriced. Affordable properties, such as townhouses in Al Ghadeer and Al Reef recorded no change in rates and good demand levels were recorded especially for the latter and the report also says that buyers for villas in Abu Dhabi continued to be predominantly investors rather than end users. It explains that investors with properties achieving high rental rates preferred to hold on to their units rather than sell them at a discount in a market with limited demand and with the exception of some projects located on Yas Island, transaction levels were slow for off-plan stock even though some developers were willing to offer extended payment plans or guaranteed returns to stimulate demand. In the second quarter of 2016 job cuts implemented by a number of companies, mainly related to the oil and gas sector, resulted in a 3% fall in the apartment rental market with prime and high end units down by 3% and 4% respectively with a notable decrease in demand for three and four bedroom apartments but there was an increase in demand for smaller units such as studio, one bedroom, and small two bedroom apartments. However, high quality projects located within Investment Zones such as Al Raha Beach, Reem and Saadiyat Islands saw high activity levels with a significant number of tenants either moving out or downsizing to smaller units. At the lower end of the market, rental rates were relatively stable with a slight decrease of 1% for vacant units and vacancy levels were on the rise over the last six months, especially for larger units, whereas there appears to be a shortfall of smaller affordable units. A similar trend was noted for villas, despite a slower rate of decline of 1%, on average, over the same period. Vacancy rates were up and demand for higher priced units was lower than usual.